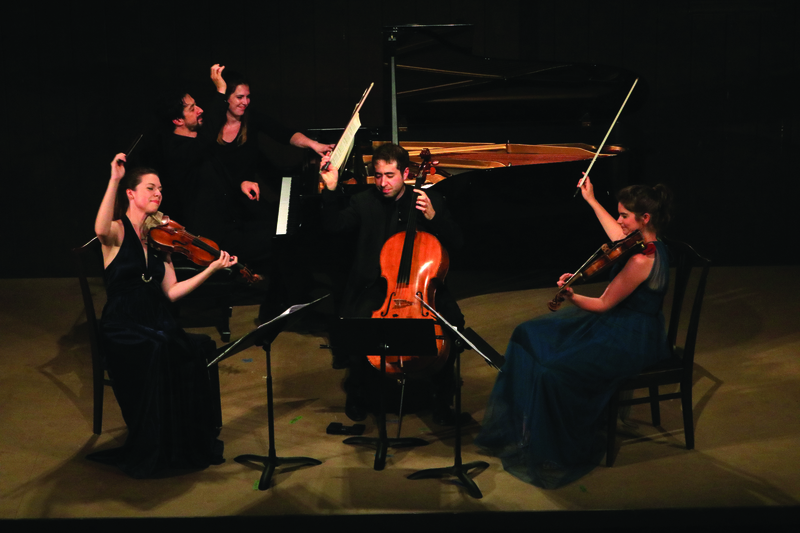 This summer’s Methow Valley Chamber Music Festival was marked by the innovation and diversity that have become hallmarks of the 22-year-old festival. Audiences were introduced to an ancient Chinese wind instrument, the sheng, and heard music by unfamiliar composers, including a frenetically virtuosic piece for cello and piano by 20th-century Russian composer Alfred Schnittke that was described as a crazed version of “Flight of the Bumblebee.” A quartet by Osvaldo Golijov, a contemporary composer inspired by his roots in Argentinean tangos and Jewish klezmer music, was particularly well received. And there was music for cello quartet, including an arrangement of “Bohemian Rhapsody” by the ’70s progressive-rock group Queen. Then there was the comedic—but musically faithful—adaptation of Ravel’s “Bolero” played by four cellists… on a single cello. Including some entertaining feats doesn’t mean the Methow chamber music festival isn’t a place for serious music—quite the contrary. It is instead proof that if you’re good enough, you can make exquisite music out of anything. And the festival musicians—a mix of well-loved veterans and exciting players new to the festival—delivered moving and impeccable performances of Beethoven, Haydn, and Brahms, all part of a balanced and engaging programs selected by Artistic Director Kevin Krentz. In addition to five Centerstage concerts—several with sold-out crowds—people enjoyed free concerts by the talented Fellowship Quartet in relaxed settings from Mazama to Twisp. Music lovers don’t have to wait for next summer to hear excellent chamber music. Look for the festival’s annual Valentine concert on Saturday, February 17, 2018, at the Merc Playhouse.